Catholic girls' school; Years 7 to 12. We aim to develop informed and compassionate women in faith who will strive to make a difference in the world. St. Mary's Primary School is a welcoming and supportive Catholic Community. We proclaim the presence of Jesus Christ in all people. We value and celebrate our faith, diversity, individuality and promote life-long learning. 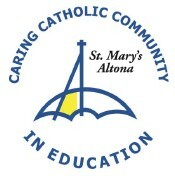 Our school motto "CARING CATHOLIC COMMUNITY IN EDUCATION" reflects our commitment to supporting our catholic community at St Mary's and building links to the broader community in Altona through our programs and extra curricular activities. 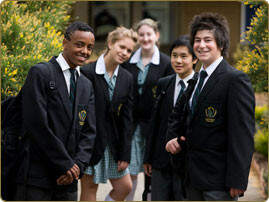 St. Mary’s school offers a comprehensive curriculum incorporating all aspects of the Victorian Essential Learning Standards Framework. A very successful early literacy program is the cornerstone of our strategy to ensure that all students experience success in their learning. Intervention programs are additional supports for children who do not make the gains that are expected of them. A new mathematics initiative will ensure a similar approach to the teaching of mathematics. An instrumental music program, specialist music and art teachers ensure that the Arts are a prominent feature in our school. Pastoral programs also feature strongly at St. Mary’s; caring for children is part of our culture. Welcome Nathan Chisholm - Principal We are very proud of the values and vision that Altona College represents and of the Academic results achieved by our diverse group of students. Established in 2007, our academic results have already exceeded local, state and national standards. Our personalised learning approach is designed to ensure every child in every classroom thrives, learns and achieves. Please explore our web site and discover the many special features our College has to offer.